You are here: Home / General Articles / Check Out These Local Events! 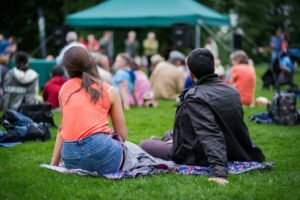 Spend Time In The Community At These Local Events! Now that the warm spring and summer weather is here, it is the best time to start looking for family events in the area! Make sure to mark your calendar for these exciting events that you will not want to miss out on! On Saturday, June 6th, head out to the Rainbow Pride Parade & Festival in the Tower District. From 10 a.m. until 3 p.m. join Fresno’s gay, lesbian, bisexual, and transgender community at one of the most talked about events! As one of the biggest happenings in the Fresno area, you will not want to miss out on all that is offered. The parade is free to attend, and tickets to the festival are $5. The event is put on by the Fresno Rainbow Pride Committee, and is a cultural earmark of the very unique and diverse community. This year’s theme is Rainbow Pride, which marks a milestone of the initiative that helped to start Pride as a celebratory event. Another fabulous event to attend, the Father’s Day Blues Fest, will be taking place on Sunday, June 21st from 2 p.m. until 7 p.m. at St. Therese Lawn. All Dad’s will enjoy an afternoon of Blues with the whole family at this 6th annual event. Tickets are just $10, with children 9 years old and younger getting in for free with the purchase of an adult admission. The gates open at 1 p.m. and the music starts at 2 p.m.
All of us at McCarty Insurance Agency in Fresno, California would like to invite you and your family out to enjoy all that these exciting local events have to offer next month!